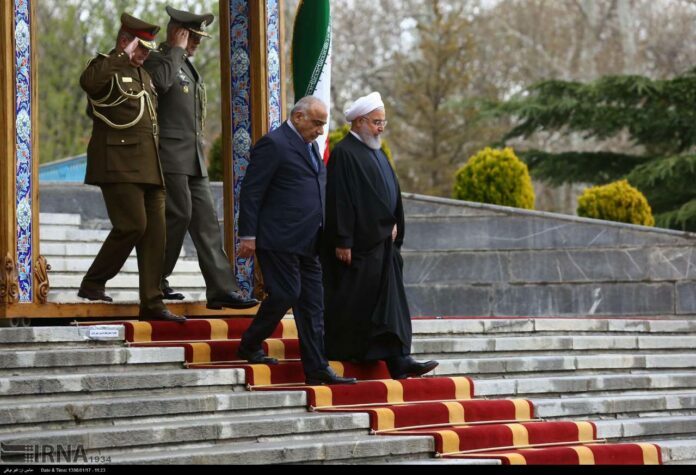 Iraqi Prime Minister Adel Abdul Mahdi has arrived in the Iranian capital of Tehran at the head of a high-ranking political-economic delegation. The Iraqi premier was welcomed at the airport by Foreign Minister Mohammad Javad Zarif. Later in the day, he was officially welcomed by President Hassan Rouhani at Saadabad Palace, northern Tehran. His visit comes a few weeks after the historic visit of Rouhani to Baghdad, which was his first official trip to the neighbouring state in six years. The Iranian president’s visit was replete with achievements. He arrived to a warm welcome in Baghdad, where the two neighbours announced several economic trade deals, including in the fields of energy, railway, health, investment, and tourism, with the aim of increasing their annual trade volume from the current $12 billion to $20 billion and offsetting new American sanctions on Tehran.